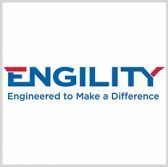 Engility has won a potential $41 million task order to support command and control programs at the U.S. Marine Corps. The company said Thursday it will provide on-site expertise, logistics and training support services under the Global Command and Control System Tactical Combat Operations/Joint Tactical Common Operational Picture Workstation Sustainment Support order. “Our people are embedded with Marine units worldwide,” said Scott Whatmough, senior vice president of Engility’s defense and security group. Whatmough added the company aims to help U.S. armed forces prepare for missions with the use of C2 and training systems. Under the order, Engility will deliver an Immersive Training Environment to help USMC personnel learn to use virtual systems within a simulated environment. ITE is designed to replicate Marines’ live mission systems and integrate with other training platforms such as a media-based classroom presentation and a distance learning system. The Space and Naval Warfare Systems Center Atlantic awarded the order through the SeaPort-e contract vehicle.